I am feeling compelled to post a costume from my past for Halloween evening! There are way less trick or treaters in our neighborhood than I thought so here I am with candy and wine and cats. 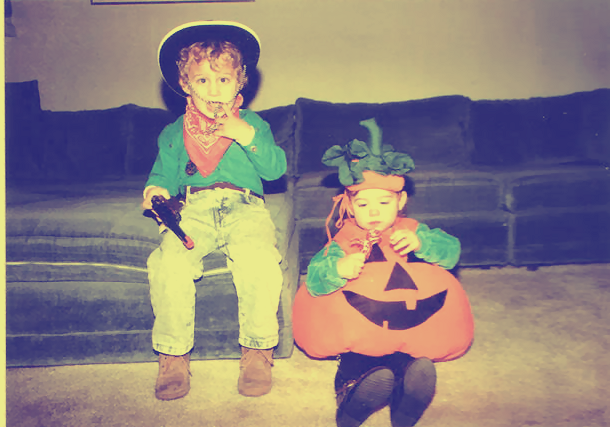 So I figured, let me post photos of my brother and I's first two Halloweens together. I was at first a pumpkin, him a cowboy. 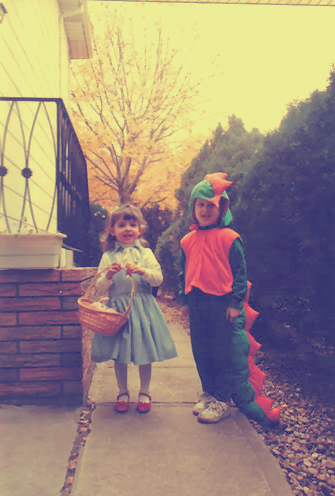 The next year we had two homemade costumes that my grandmother stitched for us: Dorothy from the Wizard of Oz, and a Tyrannosaurus Rex! Kind of amazing, huh? 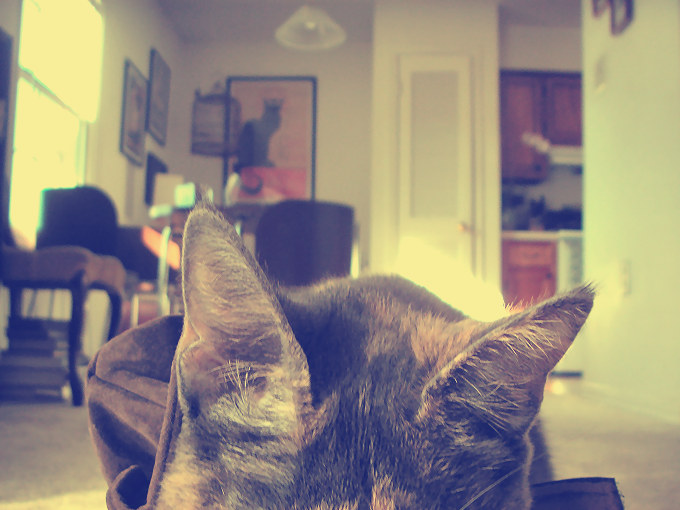 And here are photos from my attempt to dress up my brothers kitties for Halloween. The black cat, Kai, was supposed to be a bat for Halloween! But he was having none of that costume. I'd much rather cuddle with him than have him run away from me! 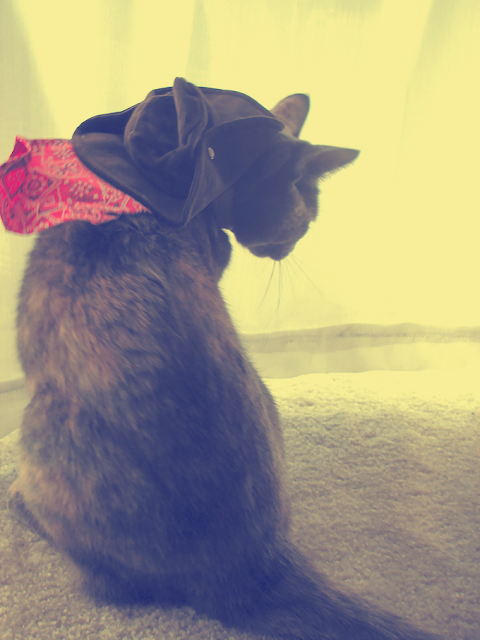 Here is Bonsai, the girl kitty who is a cowgirl for Halloween. She is so very calm, cool, and collected so she allowed me to put her hat on, for a photo only. She posed, fussed, then asked to be paid for this modeling shoot. 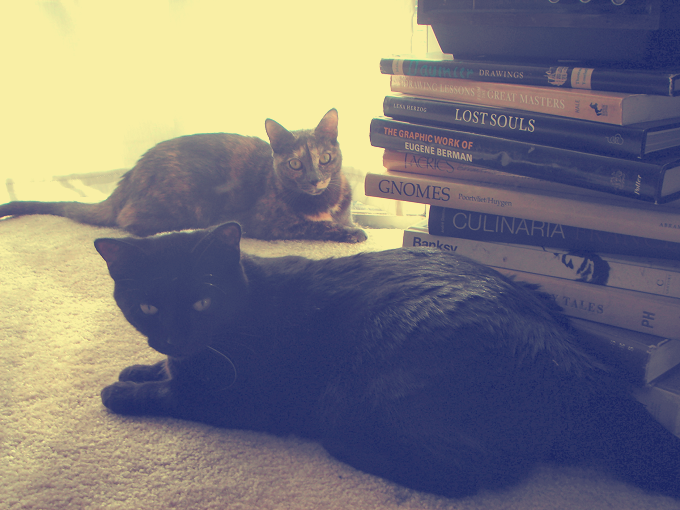 The two kitties, who I have grown to adore as my own. I love that when I come home from work, they both stretch out on the floor waiting to be pet. I also adore that I found a new toy for them. I was completing a DIY fall decor piece that included twine and the both of them wanted to play with it! So instead, I found an old ball of yarn, humored them for a little, and left to find that they are able to play with each other with this yarn! It seems so classic. Halloween, a black cat, and a ball of yarn. What other cliches will I encounter tonight? 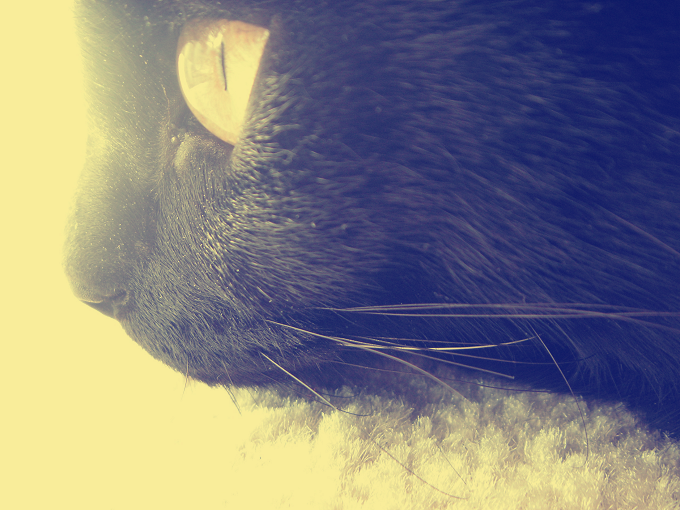 Here's a portrait of the black cat, Kai for everyone to enjoy tonight! Does this mean we're all cursed? Oops! Lastly, I created a Facebook page for Yelle Events. Not sure how many bloggers out there use Facebook as a way to track blog posts, but I know I used to before I had my own blog! Check it out + happy Halloween! homemade costumes are the absolute best! i wish i were a little more creative in that department because i think my boys would love it! Me too! I can hem a pair of pants, but I definitely wish I could create a costume! Candy, wine and cats sounds good to me!! I feel like I have to use it too because some people do use FB to keep track of posts! Those shoes sound awesome! We were able to find a pair of red glittery shoes, but my mom said I never want to take them off after! Great pics! Love the kitty costume! 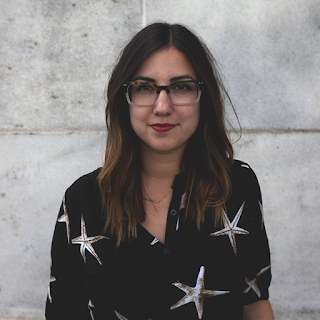 I am OBSESSED with the cute font on your blog. I love the calligraphy look! Found your blog through the blog hop at Sweet Pea Sylvie! New follower! Oh and I am doing a fun little giveaway, I would love to have you visit! Thank you! 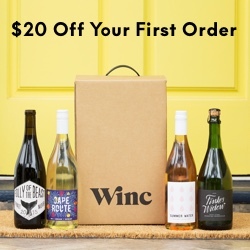 The font is called Jacques and Gillard I believe, it's one of my favorites! Your grandmother's sewing skills are impressive and you two look adorable. I will always be impressed by my grandmother too! And thanks! Awww, so cute! And I love your kitties!! What fun old pictures :) I really like the way you matched the colors in new pics with the old ones, and I especially dig the last photo of kitty :) Cat closeups are the best! Thanks! I've already done a Liebster Blog Award, but thank you for the nomination! You're too cute! Your kitties are precious!! I love those halloween pictures. The costumes are so cute, and well done! hehe, my cats love some yarn, too. they even steal it from my yarn basket. I absolutely love how they play with it together!